Abstract: As a globalization-related phenomenon, voluntary or forced migration gradually occupies a leading place in the social agenda. The migrant problem is getting ever more complicated owing to reasons of international and national character. So far the European Union has no firm concept or plan about handling the migration influx. Furthermore, the populist rhetoric of the nationalist parties has stepped up in an expression of discontent both with the European policies and with the national authorities. This is considered to be a dangerous trend, because catalyzing people’s apprehension may lead to escalation of negative public moods against the migrants. A very important and responsible role in this situation is that of the media. In this regard, the research of the impact of nationalistic populist political discourse on media ecology can outline important trends in contemporary communication processes. The aim of the article is two-fold: firstly, to examine the contemporary tendencies and challenges of the media ecosystem; and secondly, to present the results of a study on populist approaches to the migration problems reflected in the Bulgarian media. The study is part of an international European project within the COST IS 1308 Action: Populist political communication in Europe: Comprehending the Challenge of Mediated Political Populism for Democratic Politics aimed at comparative measuring of populist rhetoric. 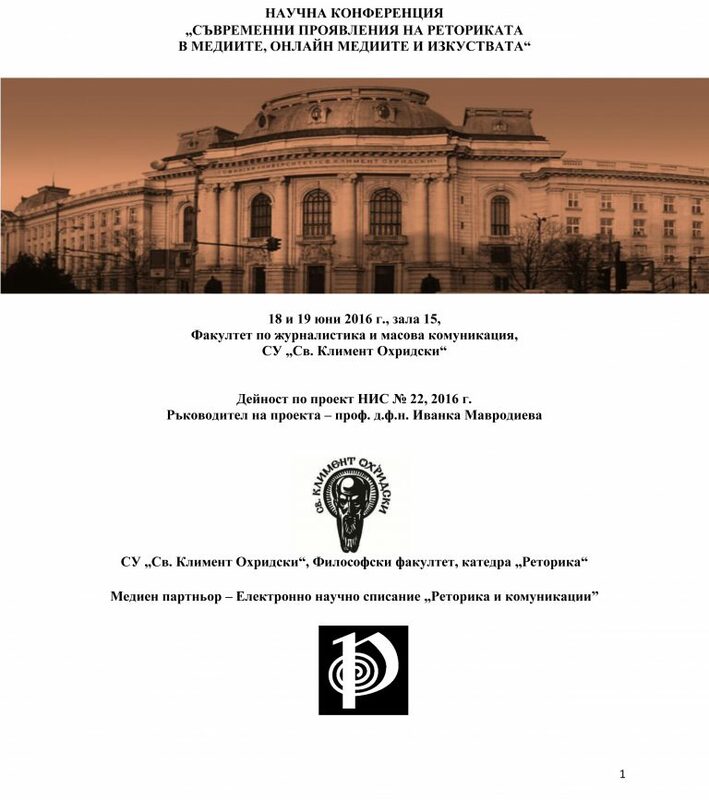 It is supported by projects DCOST 01/02-17.05.2017 and DCOST 01/25-20.12.2017 of the Bulgarian National Scientific Fund. 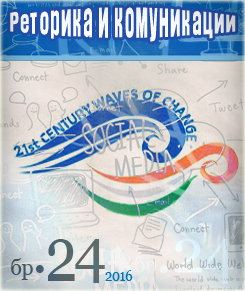 Keywords: media ecosystem, populism, migration, communication, media coverage. During the migration crisis in Europe political communication undergoes substantial changes, which in turn are reflected on the media system and society. The messages that actors make are characterized by heterogeneity regarding the ideas, becoming more fragmented and complex. Thus, for example, the recentness of the topics related to crime and migration in Belgium, covered by the local media ensure more popularity and voters for the Vlaams Blok in the country , . Therefore, when it comes to migration issues even some of the traditional political parties and their leaders turn to the populist rhetoric . In such a turbulent period, characterized by instability for domestic and international security, the meanings of “democracy” and “citizenship” are questioned, and values are redefined , . Humanity, solidarity and commitment are often seen against the background of political discourse. Fear, hatred and empathy are used by the government and opposition as instruments in an attempt to control journalistic practices in their favor. In this respect, the more imminent the danger is and the more fear is created, the more likely people are to support populist decisions . Actors use certain populist communication strategies aimed at people (mostly their voters) to urge them to action, as well as to discredit the elite and certain social groups (the “others“) about the situation in the country. In turn, democratic values imply freedom of speech in order to ensure pluralism of viewpoints. The passive reflection of the attractive populist messages without the facts being verified and without the journalists getting into the essence of the problem entails the risk of information distortion and hence – to manipulation. The present article is engaged with the study of these problematic issues. 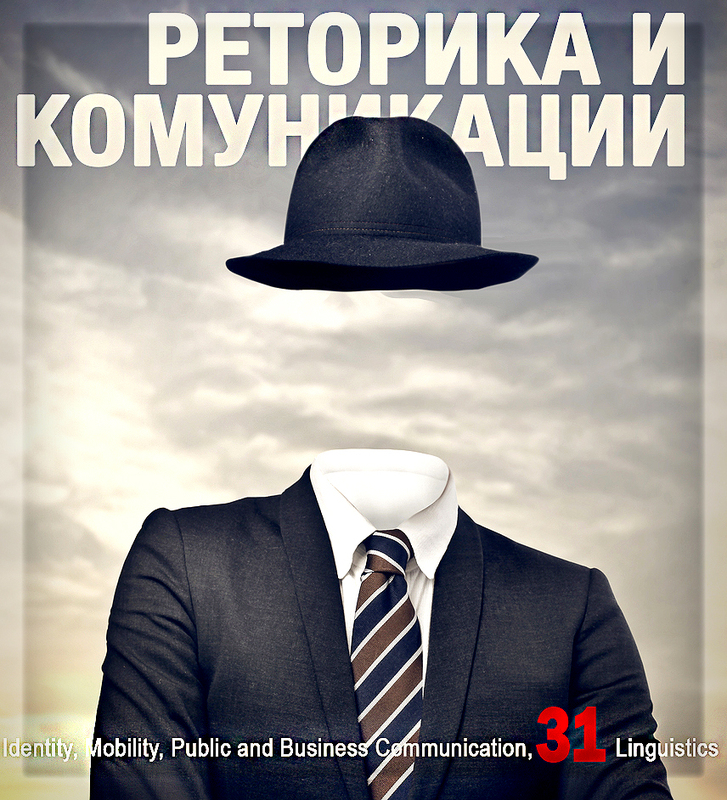 Despite some objective constraints such as the lack of comparative analyses among various democratic states, as well as the inability to give a full picture of the political communication strategies during election campaigns, this article represents an attempt to identify the major populist messages in Bulgaria for which in-depth research is missing. Knowledge of the populist strategies would help not only media professionals and traditional parties to interact with them but, more broadly, the citizens, too, which is the basis of knowledge and understanding of populism. To explore these processes in depth and to track the dynamics of the most commonly used by the actors populist communication strategies, the study is carried out over a two-year period of time (2016 and 2017). 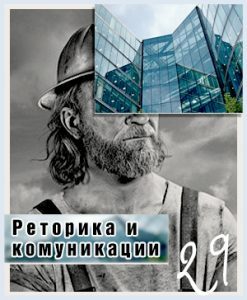 The analysis covers three of the leading print media in Bulgaria – the daily newspapers “24 chasa“, “Trud“ and “Telegraph”. The third one is a tabloid. This allows a comparison of how one and the same events and processes are reflected by the journalists of a tabloid and those of the other two newspapers that represent the more serious and analytical press in the country. In addition, some researchers claim that the more commercial a media is, such as tabloid publications and private TV and radio operators, the more attention they pay to populist actors because of the accompanying titles that attract a larger audience . Stanyer observes that the tabloid newspapers in Great Britain associate the issue of immigration in the European Union with populist parties . Other authors (Akkerman, 2011) , however, hold the opinion that the problem is much more complex and there is no distinction amongst serious and tabloid press. In the process of work a content analysis was applied, which used some issues from the survey on populist communication in Europe carried out by international team, led by Frank Esser within the COST Action IS 1308: Populist political communication in Europe: Comprehending the Challenge of Mediated Political Populism for Democratic Politics. Encoding has taken place in two periods. The first one included the newspapers published on: 22nd February, 1st, 9th, 17th and 25th March and 2nd April, 2016. The same approach was re-applied to 2017 where the editions of 20th and 28th of February, 8th, 16th and 24th of March and 1st April were examined. 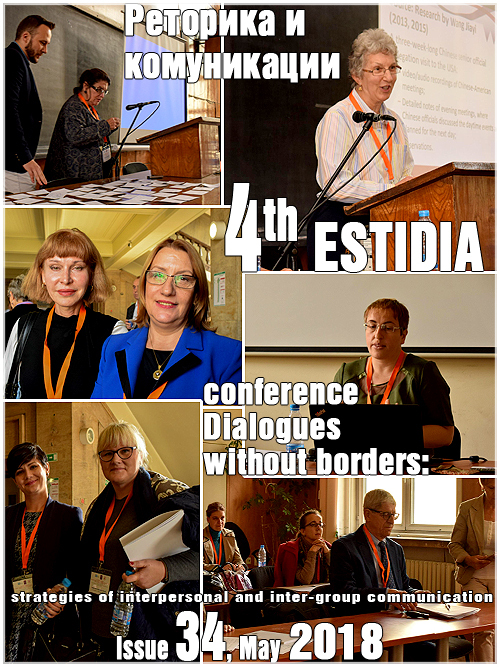 All selected articles include information on migration and migration processes, national and European border security, threats of terrorist attacks, and minority groups’ problems in Bulgaria and Europe. 1. Technical parameters. The authoring information is summarized, the length of the articles and the media genres used are examined. 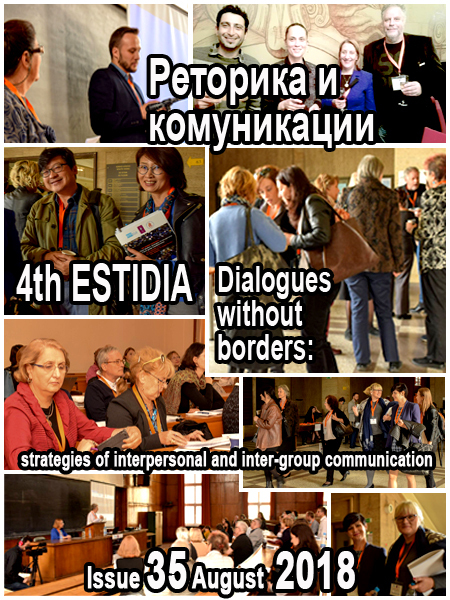 The answer to the question what the main topics discussed in the publications are is sought. 2. Populist communication strategies. This study focuses on defining populism and most of all – on drawing up the most commonly populist strategies used by the actors (journalists, politicians or other actors) during the refugee crisis. 3. Characteristics of the actors of populist messages. The analysis encompasses spokespersons’ data by attempting to describe their profile – organizational level (individual or collective actor, party), whether they are rulers or opposition, what is their national identity is, etc. 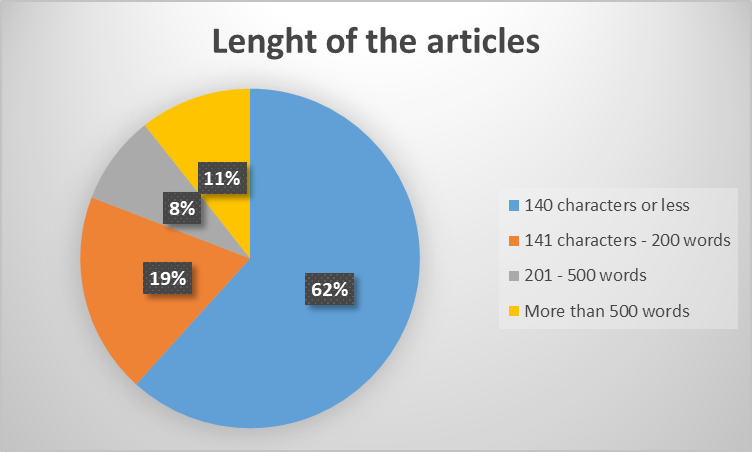 Summary data of all articles reviewed (n=47) from 2016 and 2017 show that more than half of them (58 percent) do not specify the name of the author (Figure 1). Author of the text refers to the person responsible for its content and interpretation. This most often is a journalist working permanently or as a freelancer for the relevant media. 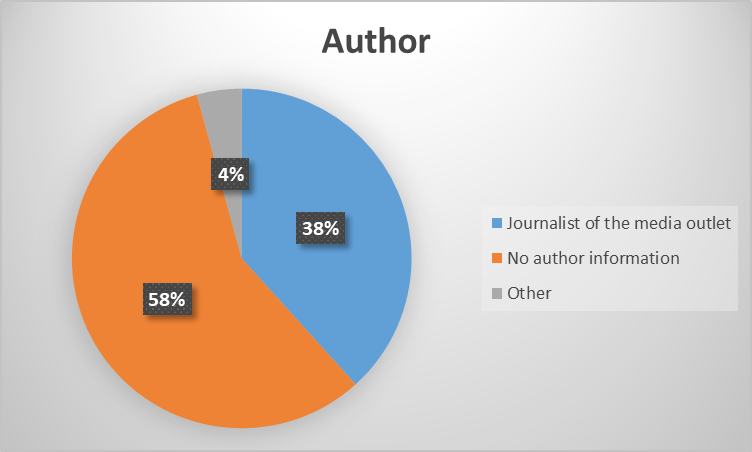 In 38 percent of the publications the name of the journalist is evident for the readers. The category “Others“ includes two articles in which information is borrowed from another news agency (the British BBC News Agency). It is notable that only in the Telegraph tabloid more than half of the articles are published under the names of their author. Amongst the reasons for lack of author information the prevailing news genres of the publications that have short and descriptive content (140 symbols or less) could be highlighted. Events are described “sterile“without seeking the views of the affected parties. Unlike these publications, the author’s names are quoted in a small number of analytical articles, as well as in the interview genre. 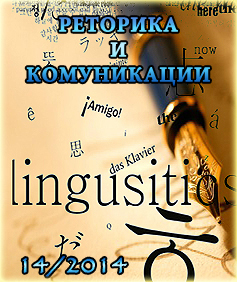 These tendencies, typical of the contemporary press stylistics, have been extensively studied by Mariana Lazarova, according to whom the information – press analysis ratio in the Bulgarian press is in the proportion of 70:30 . In addition, predominant are short, informative, fact-orientated texts, such as news reports directly from the event site. 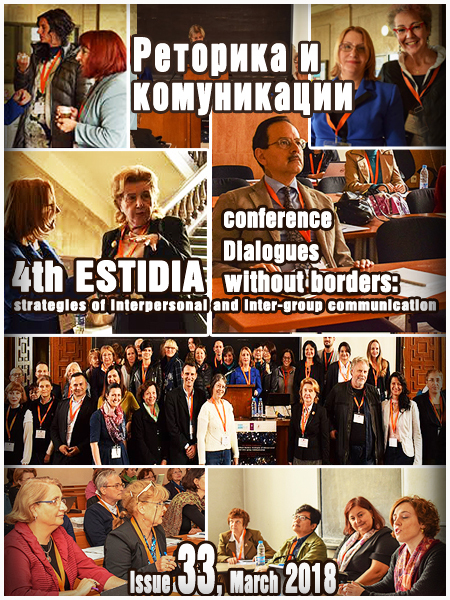 Of the total number of publications (n=47) reviewed there are two interviews and three analytical articles where the authors present their personal interpretation of the surrounding reality, look for answers to the issues raised, explore and analyze the facts, comment on hot topics. The summary results show that publications containing up to 140 symbols represent 62 percent and those – between 141 and 200 symbols are 19 percent. the Number of long texts is relatively small – 8 percent of 201 to 500 symbols and 11 percent for longer than 500 symbols, which in most of the cases occupy a whole newspaper page along with the photo material to them (Figure 2). 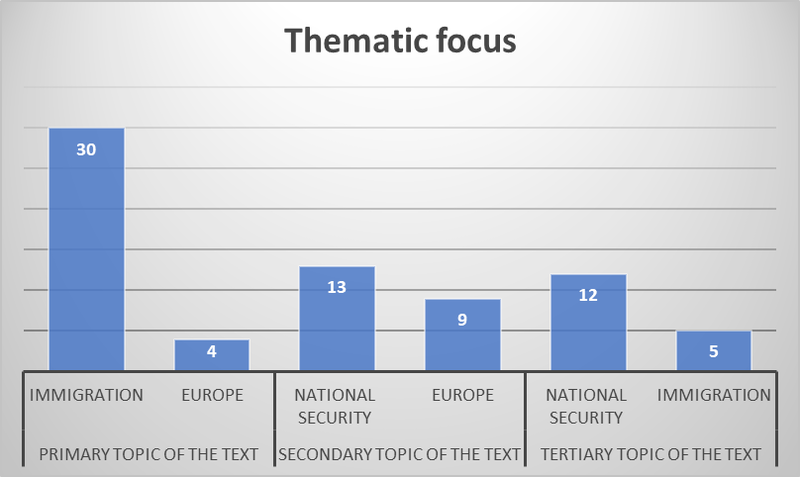 The analysis also includes a breakdown by thematic focus of the articles (Figure 3). The topics are divided into dominant – the first and the most significant topic on which the text is built; secondary – the second most significant topic and so forth. Given the international situation of the refugee crisis, the journalistic materials focus on the migration pressure as 30 out of totally 47 articles are dealing with Migration topic; 4 of them highlight the situation in Europe, again with main focus on illegal migration and the measures that can be taken to terminate it; negotiations EU – Turkey, etc. Three articles draw attention to public norms and values in connection with the opinion of the Prosecutor General of Bulgaria, Sotir Tsatsarov, to prohibit wearing of burkas in public places. The topic of the well-being of the migrants coming to Bulgaria; their support; accommodation in refugee camps; identity cards issuance, as well as the fact that the state provides BGN 11,5 million for the refugees in Turkey is also covered. Amongst the main topics is national security as well. Some of the publications related to it are: “Army is ready to send 500 soldiers to the border“ (“Telegraph, March 1, 2016), “Against migrants with batons only: Army with batons and shields against crowds of refugees“ (“Trud”, March 1, 2016), “6 migrants captured in a car with Bulgarian plate number“ (24 chasa, March 1, 2016). In the article “The struggle against burkas begins with the struggle against political correctness”, published in “Trud” daily (“Trud”, 26 of March, 2016), the author Neno Dimov, Chairman of the Institute for Right-Wing Policy, explicitly advocates the subject of populism. He binds it with the damages of socialism, comparing left-wing ideology with “a Trojan horse through which the Islamists are making another attempt to conquer our continent. According to the author “all legislative reliefs, encouragement and immunity to the Islamists have been adopted by left-wing governments of Italy, France, England, Spain, etc. (ibid.). In this case, the migrant crisis could be considered as a ground for, a kind of pretext, a political tool, as a means of communicating populist strategies with the aim to discredit the left–wing political ideology. What communication strategies politicians and/or authors of articles use? Do they contain populist messages and which ones are dominant? 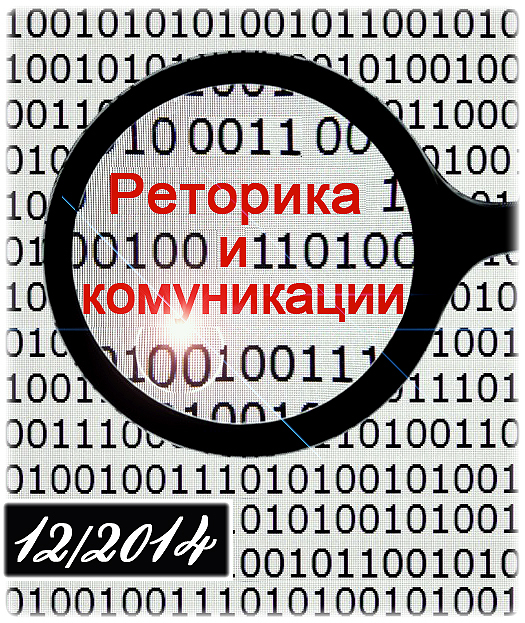 How could the media respond to these challenges to ensure the objectivity of the information? These are some of the issues that the present study aims to answer. In scientific sources there are many definitions of political populism with an emphasis on the elements that characterize it. This study adheres to the definition of Jan Jagers and Stefaan Walgrave , according to whom populism (1) always refers to people and proves the rightness by attracting and identifying itself with people; (2) is rooted in anti-elite moods; (3) considers people to be a monolithic group without any internal differences, except for some very specific categories that are subject to an exclusion strategy. Similar definition are given by Albertazzi and MacDonell , according to whom populism is an ideology that opposes virtues and homogeneity of people against the elites and the dangerous “others”, who both are depicted as deprived (or trying to deprive) the sovereign people of their rights, values, prosperity, identity and voice/vote. 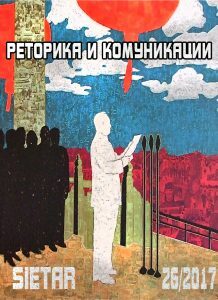 Svetoslav Malinov (2007)  defines populism as a form of political thought and speech, as a set of rhetorical figures and techniques, possessing a single leading characteristic: constant appeal and reference to the collective image of the “people”. This characteristic is complemented by features such as “offering what people want to be offered”, “brilliant promises”, “identifying oneself with, and speaking in the name of the people”; “labeling” etc., in the context of the seven propaganda techniques defined in the US in 1937 . 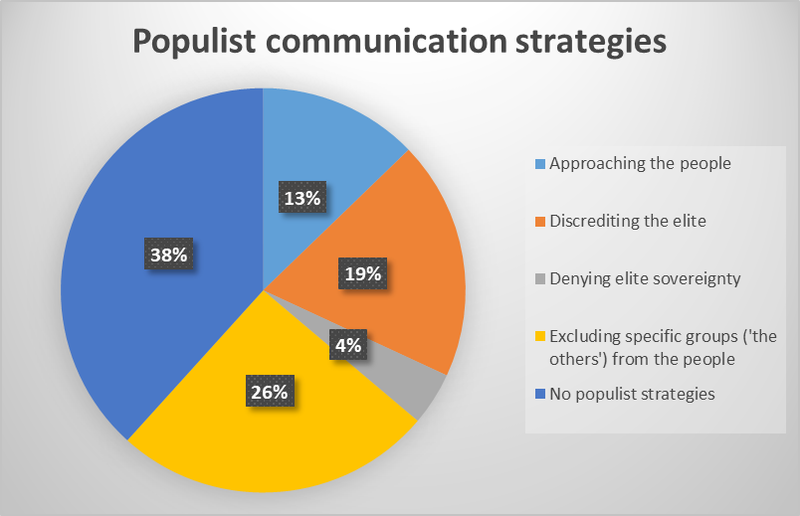 Therefore, following these theoretical definitions the analysis made defines as populist the communication strategies where explicitly “people“, “elites“ and/or “others“ are present. It is important to mention that populist actors can be politicians and economists, journalists, charismatic people capable of opinion shaping. At the same time, populism can be not only politically and economically addressed but also targeted at the opinion-shapers in academia and media . In this context, many populists try to control journalist practices by using too often sensitive social issues that provoke fear, hatred, anger, and commitment. Discrediting actions of the elite, offering simple and direct solutions of complicated issues, calling people to actions, accusing the “others“, the “different“, for all the troubles that occurred in the country are used to attract media attention, to find new supporters and political benefits. Populists like transparency and do not trust mystics: they reveal behind-the-scene transactions, shady compromises, complicated procedures, secret contracts and technical details that only experts can understand . For example, in 26 percent of the articles a spokesman’s attempts to blame, criticize, and hold the “others” responsible for the crisis situation in the country and in Europe can be seen. It could be argued that stigmatization originates mostly from ignorance (lack of awareness) and fear of migrants in general caused by migratory pressure (Figure 4). It is notable that all of the three examined newspapers reflect the events related to the expulsion of refugees by the local population of the town of Belene. The article in the “24 chasa“ daily dated March 8, 2017 with title “Belene expels refugees, threatens with death the priest who invited them”, describes in detail the case with the Syrian family Albahri and their three children. They have been staying in Belene since the beginning of March after the Agency for Refugees at the end of February has turned to the priest of the local Catholic Church Father Paolo Cortezi for help. The Syrian family left Damascus a year before after their home was destroyed. The family passed through Turkey and Greece legally. It was the only one of 7000 other families at that time that wanted to live in Bulgaria where they were promised security and education for their children. In Bulgaria they were sent to the refugee camp in Vrazhdebna and the Agency for Refugees contacted Father Paolo Kortezi from the Catholic Church in Belene, who has already expressed a desire to host refugees. According to the article in the “24 chasa“ daily the family was welcomed by about 300 people under an old Bulgarian tradition – with bread and salt and was accommodated in the Catholic Church. A problem arose after a municipality session, “where an issue was raised, why Father Paolo did not ask for permission whether refugees could be accommodated on the territory of the municipality”. A municipal counselor from the local coalition “Patriots and democrats for Belene“ Krasimir Todorov said that he had no problem with the Syrian family but he was against doing anything without the knowledge of the mayor and the Municipal Council and without asking the residents whether they agree to that. “People are afraid that once one family is settled, 50 more will come after it“, said Todorov to the journalists of the newspaper denying threatening Father Paolo. Following protests by citizens led by the municipal counselor, the refugees were expelled form Belene and Father Kortezi was recalled from the Catholic Church. Attempts to discredit specific groups also appear in an international aspect. In the article “Because of the attacks of Brussels Poland refuses to accept 7000 refugees under its quota“ (“Trud”, March 25, 2016) the author quotes the Polish Prime Minister Beata Szidlo, who accuses the “blind politicians in Brussels“and pronounces “all refugees responsible for the Islamist terrorist attacks in Europe“. Szidlo adds: “Poland will fight the utopia of the open borders. We will oppose any kind of blackmail from the EU and will not participate in the madness of the European elites” (“Trud”, March 25, 2016). Besides that, all refugees without any exception are discredited and identified as terrorists, another communication populist strategy is explicitly outlined, namely – the one related to the discrediting the elite. This strategy is manifested in 19 percent of the publications under research. By discrediting the elite it is intended to stigmatize the political opponents, to bring to light their mistakes, their irrational thinking and worldview on a specific situation. Often the accusations are related to immoral or illegal behavior, corruptness, lack of democratic values, overall policy failure. Thus, following the presidential elections in Bulgaria in November 2016, Deputy Chairman of the Executive Committee of the lost the presidential run-off political party CEDB Tsvetan Tsvetanov, says: “A lot of the other parties built up their campaign to instigate hatred and to criticize Borisov’s government regarding the construction of the border fence. (The main accusation of the opposition is related to the fact that contracts for the fence to stop illegal refugees on the border with the Republic of Turkey have been signed for a two-line fence, the payment is for a two-line fence and the fence in some places is of one line.) They tried to “ride” this wave. After the presidential campaign the topic of “Refugees“ abruptly stopped. And that explains who for what took advantage of it“ (“24 chasa“, March 16, 2017 – “Tsvetanov: the fence with Turkey will be ready in May“). Attempts to discredit the elite are often bilateral and as a response to the attacks of the political opponents (justified or without any support by the necessary arguments) reciprocal accusations are thrown. Convergence with people as a communication strategy is also found in an article from the previous year. In its publication newspaper the “24 chasa” daily dated March 1, 2016 entitled “Cameron with a thank-you letter to Borisov for his support” wrote that the British Prime Minister David Cameron thanked in a letter his Bulgarian counterpart Boyko Borisov for his cooperation during the negotiations with the EU and for the contribution to their successful outcome. The British Prime Minister writes that he understands how difficult the demands were and that Europe faces other serious challenges. He expresses his gratitude for the patience, as well as for the readiness to take the initiative in the search for possible solutions. According to Cameron the historic agreement reached has given him a clear idea of directing the British to vote in the referendum on 23 June for “staying” in the European Union. The Brussels’ support for Cameron, however, proves to be insufficient and yields to the populist messages of those about Brexit whose main motives are related to the continuing immigration in the United Kingdom. The remaining 4 percent of the publications deny the sovereignty of the elite. This communication strategy is characterized by the fact that the spokesperson rejects, disputes, refuses to accept certain decisions or reforms made by the elite. This gives him less power and casts doubt on his credibility. 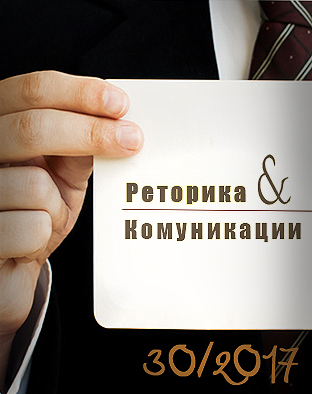 The publication of the “24 chasa“ daily dated April 1, 2017 entitled “Gerdzhikov urgently convened the ministers of the caretaker cabinet to repeal an ordinance of Borisov“ informs about an extraordinary meeting called by the serving Prime Minister Ognyan Gerdzhikov. The reason for the meeting is the Ordinance on rules and conditions to conclude, implement and cease integration agreements with foreigners granted asylum or international protection, adopted by Decree No.208/2016 of the Council of Ministers (Council, 2016).. The same Decree is strongly attacked by the socialists during the election campaign, both in presidential and parliamentary elections. The Decree concerns the integration of foreigners granted asylum or international protection. Then socialists say that they disagree with the fact municipalities have to pay health insurance to the unemployed refugees provided they do not do the same for the unemployed Bulgarians. To understand in detail the populist communication strategies and the actors, who are most often behind them, spokespersons are analyzed – their organizational level (individual or collective actor, party), whether they are rulers or in opposition, what their national identity is, etc. A spokesperson is considered to be the actor who directly or indirectly is quoted in the text, who expresses his/her position or attitude to the subject matter of the publication. The spokesperson may be a politician, a journalist, a representative of the administrative authority, a scientist, a citizen, etc. 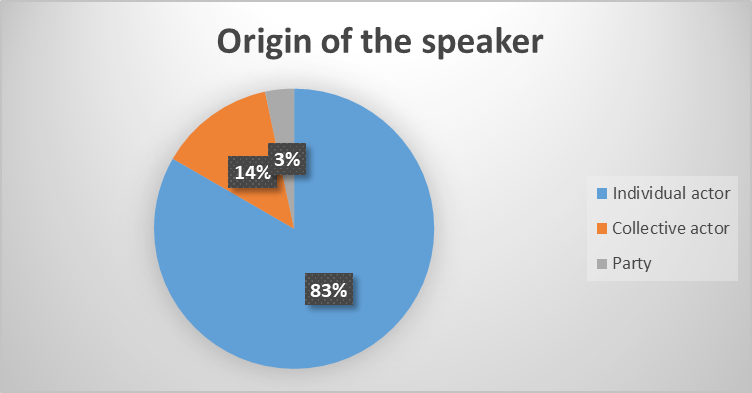 The summarized data show that in 53 percent of all analyzed articles the spokesperson is a political actor – a representative of the public authority, whether an individual person, a group of politicians, in government or in opposition, from Bulgaria or a foreign representative (Figure 5). 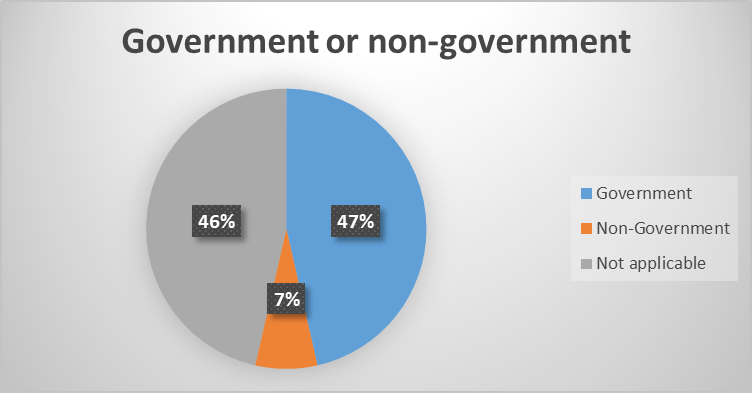 Far less are the viewpoints of citizens and/or civil society organizations (13 percent), as well as of representatives of the legislature, for example, military, police, and administrative staff (10 percent). Only in editorial articles the authors of the texts (classified as media actors) express their opinion on a particular topic. All this poses a significant risk of politicizing the problem. At the beginning of 2016 the media attention is focused not only at the resolution of the refugee crisis but is also marked by the geopolitical interests of the unpredictable Turkish President Recep Tayyip Erdogan, who openly threatened Europe that he may let the several million immigrants present in his country to go to the old continent (bTV News, November 11, 2016). Erdogan’s main request to restrict the entry of migrants into Europe is Brussels to meet the key request of Ankara, namely – to set a specific date for introduction of a visa-free regime for Turkish citizens. Following the intensive negotiations among EU and Turkey, on March 18, 2016 the Heads of State and Government of the EU member states and Turkey agreed to end the illegal migration from Turkey to the EU and to replace it with legal channels of resettlement of refugees to the European Union (Figure 6). This new approach begins to show results with sharp decline in the number of people illegally crossing the Aegean Sea from Turkey to Greece (European Commission, 2016). 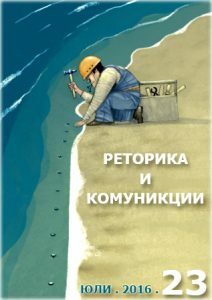 Though this study is not focused on the elections and does not give a representative picture of the pre-election period, its data show that at the end of 2016 and in 2017 the topic of migration in Bulgaria with main priority of the country’s security (along the construction of the fence at the border with Turkey, the accommodation of the refugees, economical parameters of the problem, etc.) is exploited by politicians and political parties for the presidential contest and parliamentary elections. 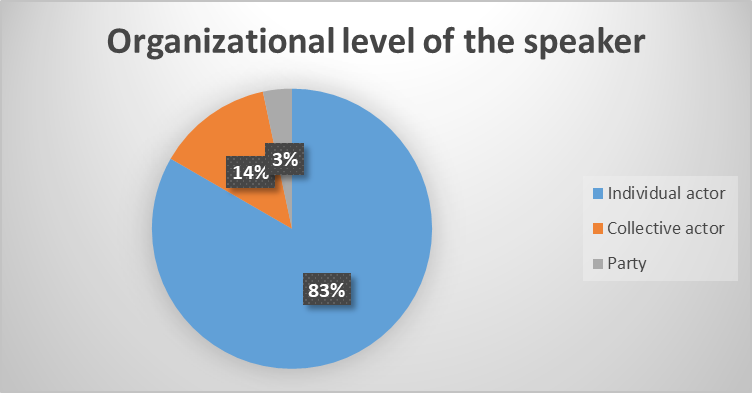 In 83 percent of the cases spokespersons are individual actors (politicians, journalists, citizens), less often they are collective actors – organizations, citizen’s/civil socierty’s/ movements, etc. (14 percent), and only 3 percent are political parties, when the party’s spokesperson expresses party’s official position on a specific case (Figure 6). In addition to the profile of the spokesperson his/her role is examined, too – to which political party in the national political system they belong, i.e. whether it is in government or in opposition (Figure 7). On March 26, 2017 early parliamentary elections were held in Bulgaria. Initially they were scheduled for 2018 at the end of the four-year mandate of the National Assembly. However, early elections were scheduled following the resignation of the Prime Minister Boyko Borisov and the failure of the Bulgarian parties to form a government. Borisov resigned after the defeat of the CEDB’s candidate Tsetska Tsacheva in the presidential elections in November 2016. The official election campaign started on 24 February. In this context, the results obtained correlated with the political situation in the country as in 47 percent of the cases the spokesperson is in the government (political actors from the caretaker government led by Ognyan Gerdzhikov were included, too). Results show that during the period studied political actors most often use populist communication strategies related to the topic of migration. They are the ones, who especially in election campaigns, in order to secure a place in the next parliament, use strategies such as discrediting the elite and the “others“, rapprochement with people and others. Populist messages are widely disseminated in the media, especially in a period of migration crisis and instability. Media reflect the messages without the necessary criticism, not looking for the different points of view on the subject. Populist messages are used not only by the extreme right- and left-wing parties in Bulgaria or by the opposition. On the contrary, the main messages containing populism are those of the political actors governing the country, as well as the representatives of the traditional political parties. By using sensitive public issues to provoke fear, hatred, anger, commitment, many populists try to control journalistic practices in their favor. The issue of migration is often used to attract the attention of the media and to distort the truth in covering of the events. Populist speeches attempting to discredit the elite, calling people to actions or accusing “others“, often are used to attract new supporters. Therefore, journalists have to ensure that coverage does not serve populist interests and provocative language and statements are not used. Journalists can become accomplices in populism if they do not pay special attention to and are not interested in manipulative tools. Most media reported populist rhetoric without giving any extra facts, verifying the information or asking important questions. 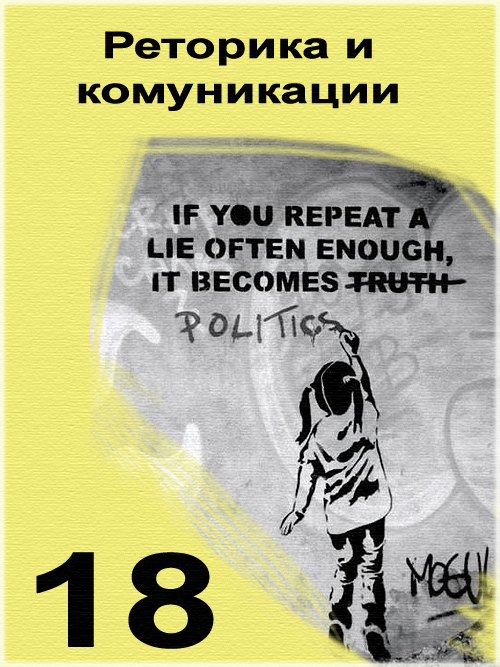 At the same time populist speeches often contain manipulation, false or distorted information, inaccuracies that could be accepted by some of the public as true allegations. To avoid this, media professionals have to identify suspicious allegations so as to not mislead the publics. Media professionals have to provide verified and accurate information to their audiences. Thus, the commitment of the journalists is not only to report populist rhetoric but to provide information from different sources, to verify the statements, to refute false statements, to ask provocative questions, etc. Media often apply the practice of balancing – presenting to the audience at least two points of view on a specific case. The role of journalism is to present the audience with pluralism in viewpoints without any limitations because reflecting the positions of only two sides/parties could lead to misinformation and misrepresentation. Journalists have to be objective with all parties but this obligation does not necessarily mean to allow the spread of hatred, racist words, manipulative allegations and lies. A media policy of self-control is necessary to preserve democratic values and beliefs. 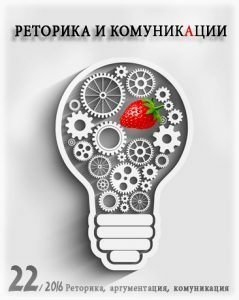 The model of democracy on the make in Bulgaria delegated the difficult tasks of transition to the political elite and eliminated the broad participation of the people in the process of transformation. Deregulation of the radio- and TV broadcasting media sector dragged on, giving way to the development of two mutually bound processes – politicization of media and mediatization of politics. 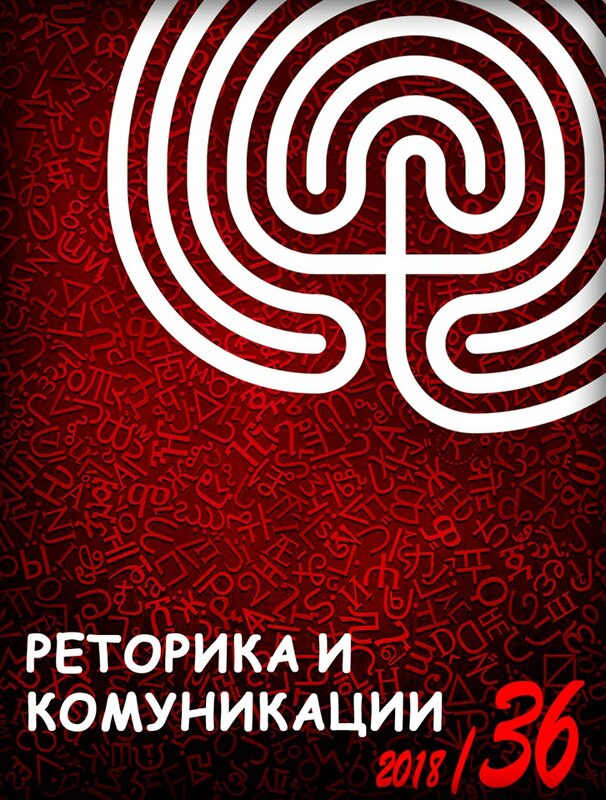 In spite of the fact that Bulgaria has taken considerable steps towards democratization, the political system faces an immense challenge owing to its unclear identity, both at conceptual and at representative level. Gradually, the situation of social disintegration and shortage of social synergy has become a good environment for the revival of populism, primarily by non-systemic political parties. The social factors that open the way for, and support populism are, on one hand, people’s disappointment in the transition to market economy and democratic forms of government, as well as in the inability of the elites to work for the public interest and to build a well-functioning state, and, on the other hand, in the anti-minority and anti-migrant attitudes of some of the Bulgarian citizens  (Raycheva, Peicheva, 2017). The results of the content analysis and the existing ambiguity in the conceptual framework support the standpoint that populism can be adequately identified in cases where speculation occurs with the unrealistic expectations of people, when politicians irresponsibly speak from the name of the people, or when they irresponsibly make promises. Walgrave, S. & De Swert, K. (2004). The Making of the (Issues of the) Vlaams Block. 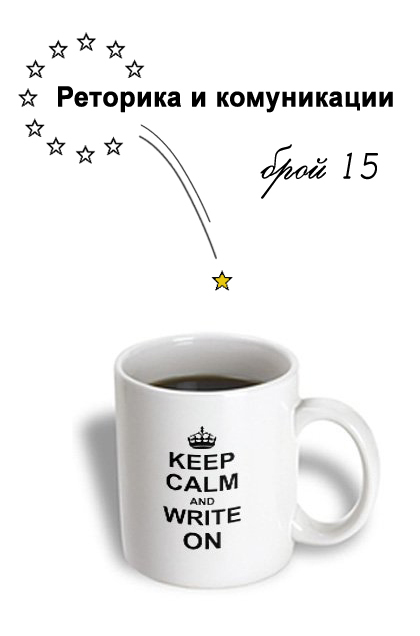 Political Communication, 21(4), pp. 479-500. Ellinas, A. (2010). The Media and the Far Rright in Western Europe. Playing the Nationalist Card. Cambridge. UK: Cambridge University Press. Brants, K. (1998). 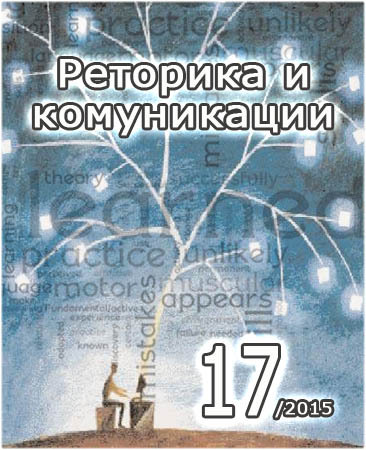 Who’s Afraid of Infotainment?, European Journal of Communication, 13, pp. 315-335. Buckingham, D. (1997). News Media, Political Socialization and Popular Citizenship: Towards a New Agenda, Critical Studies in Mass Commnication, 14, pp. 344–366. Picard, R. (2016). Keynote speech “Journalism, Populism and the Future of Democracy”, Reuters Institute, University of Oxford, to the 40th Anniversary Symposium of the Institut für Journalistik, Technische Universität Dortmund, October 28. Blumler, J. & Kavanagh, D. (1999). 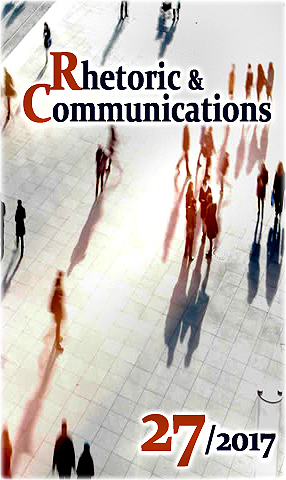 The Third Age of Political Communication: Influences and Features, Political Communication, 16, pp. 209–230. Mazzoleni, G., Steward, J., & Horsefield, B. (Eds.). (2003). The media and Neopopulism. A Contemporary Comparative Analysis. Westport, CT: Praeger. Stanyer, J. (2007). Modern Political Communication. Cambridge, UK: Polity. Akkerman, T. (2011). Friend or Foe? Right-wing Populism and the Popular Press in Britain and the Netherlands, Journalism, 12(8), pp. 931-945. Lazarova, M. (2011). Horizonti za vestnikarskiya ezik spored filosofiyata na postmodernizma. [Horizons of Newspaper Language according to the Philosophy of the Post-Modernism]. In: Contemporary Humanities, No 1. Jagers, J. & Walgrave, S. (2005). Populism as Political Communication Style. An Empirical Study of Political Parties’ Discourse in Belgium, Final version for publication in European Journal of Political Science, September 16th, 2005, pp. 3. https://www.researchgate.net/profile/Stefaan_Walgrave/publication/229922154_Populism_as_political_communication_style_An_empirical_study_of_political_parties%27_discourse_in_Belgium/links/0deec53cd37dfc096c000000/Populism-as-political-communication-style-An-empirical-study-of-political-parties-discourse-in-Belgium.pdf. Albertazzi, D., & McDonnell, D. (2008). Introduction: A new Spectre for Western Europe. In: Albertazzi, D. & D. McDonnell (Eds. ), Twenty-first Century Populism: the Spectre of Western European Democracy. Basingstoke: Palgrave Macmillan, pp. 3. 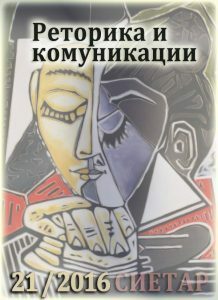 Malinov, S. (2007). Razmisli za balgarskiya populizam. 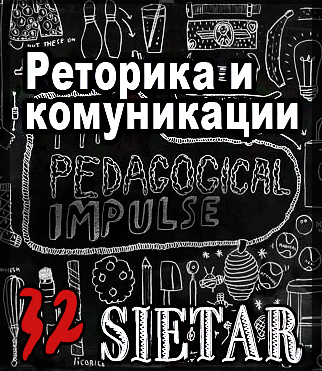 [Thoughts on Bulgarian Populism] Critique & Humanism, 23(1), pp. 71–84. Canovan, M. (1999). Trust the People! Populism and the Two Faces of Democracy, Political Studies, XLVII, pp. 3. Westlind, C. (1956). The Politics of Popular Identity, p. 203. In Canovan, M. (1999). Trust the People! Populism and the Two Faces of Democracy, Political Studies, XLVII, p. 5. Akkerman, T. (2011). Friend or Foe? Right-wing Populism and the Popular Press in Britain and the Netherlands. 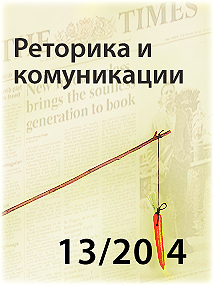 Journalism, 12(8), pp. 931-945. Brants, K. (1998). Who’s Afraid of Infotainment? European Journal of Communication, 13, 315–335. Buckingham, D. (1997). News Media, Political Socialization and Popular Citizenship: Towards a New Agenda, Critical Studies in Mass Commnication, 14, 344–366. Lazarova, M. (2011). Horizonti za vestnikarskiya ezik spored filosofiyata na postmodernizma. 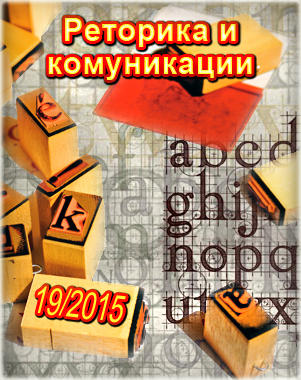 [Horizons of Newspaper Language according to the Philosophy of the Post–Modernism]. In: Contemporary Humanities, No 1. Malinov, S. (2007). Razmisli za balgarskiya populizam. [Thoughts on Bulgarian Populism] Critique & Humanism, 23(1), pp. 71-84. Walgrave, S. & De Swert, K. (2004). The Making of the (Issues of the) Vlaams Block, Political Communication, 21(4), pp. 479-500. Westlind, C. (1956). The Politics of Popular Identity, p. 203. In Canovan, M. (1999). Trust the People! Populism and the Two Faces of Democracy, Political Studies, XLVII, pp. 5.